Fiesta! 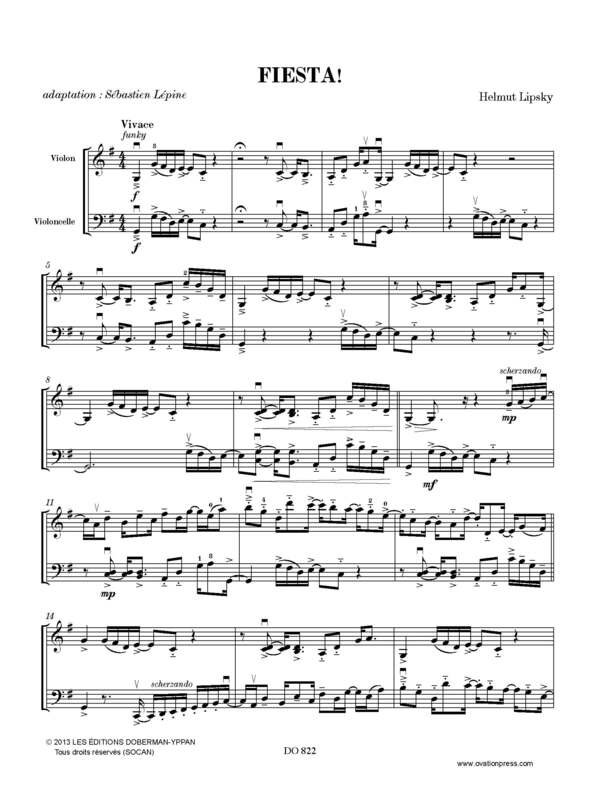 is one of ten duets included in Voyage à deux by Helmut Lipsky and has been arranged for violin and cello. It is one of several duos recorded by the Bareil-Lépine Duo on their album Works for violin & cello, based on old folk melodies. Click below to listen to Duo Bareil-Lépine perform Fiesta! for violin and cello.